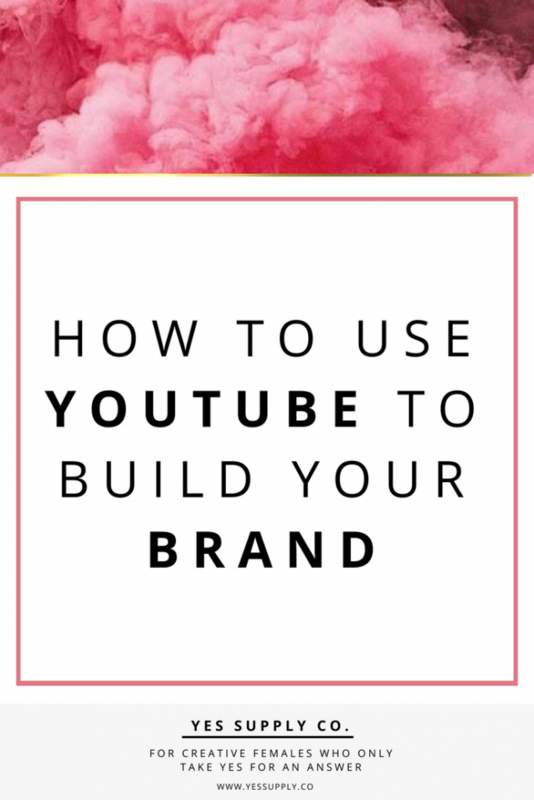 How to Use YouTube to Build Your Brand – yes supply co.
Mastering Your Money Mindset W..
Why You Need to Invest in Emai.. 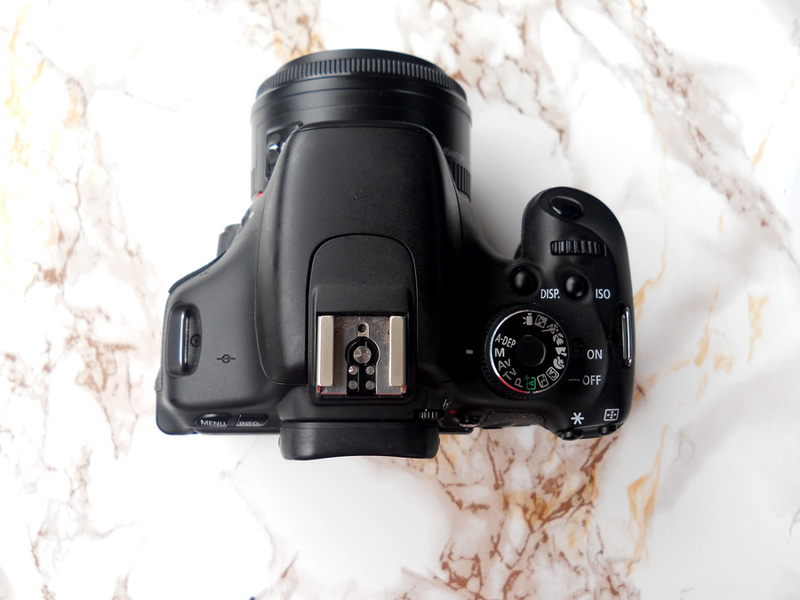 If you’re still on the fence on whether or not, your blog or business should have a YouTube Channel, you will want to check out this post here. If you want to know How to Use YouTube to Build Your Brand, today’s post will cover how YouTube will help you build 4 vital components needed to grow a wildly successful empire! If you want to build a profitable brand, you have to build authority in your niche. Most people think the only way they can built authority is by putting out a ton of blog posts. The major thing they’re missing here is that on average, only 10% of people read a blog post In it’s entirety. So there is a huge chance that your audience isn’t even soaking up all of the juice in your post. Here is something to consider: if they’re not even reading it, how are they building a bond with you? The answer is they’re not. On the flip side, with video, 65% of people who watch, will at least watch 75% of it. This is because video is the closest thing to face-to-face interaction. It’s way powerful than any body of text or simple photo because you’re inviting your people into an intimate experience, where they get to see your nuances, your personality, and your quirks! And if you want to turn your subscribers or followers into customers, the best thing you can do for your business is to get in that friend zone, because people don’t want to buy from businesses or to be sold to. People like to buy things based on friend recommendations and people that inspire them. YouTube helps you build authority super fast, not only because you will be creating video content, but because you’ll have a body of visual work, that oozes with your personality! YouTube is a great platform to show potential customers how your products and services can change their life! The best way to do this is by interviewing your customers or clients, and talking to them about how your techniques or products have transform their business or day to day life. This builds social proof not only because people see that there are real people affected by your expertise, but also because it allows potential customers to imagine what their new life can look like after working with you. 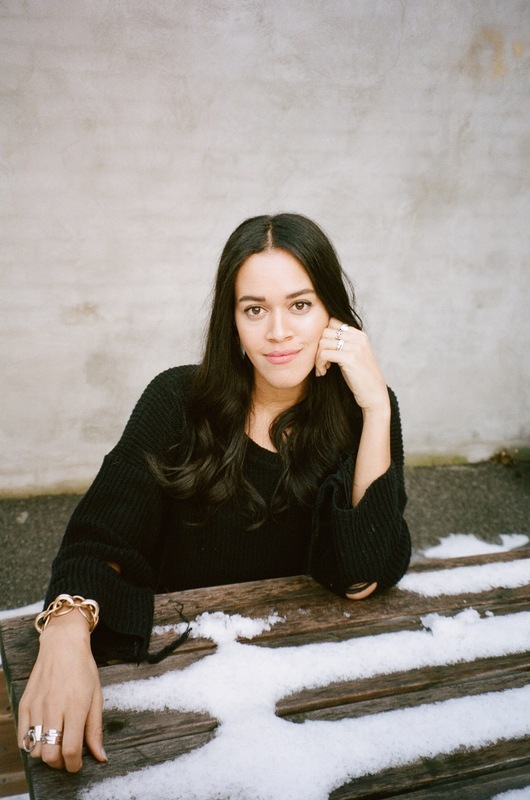 Yesterday, I had the pleasure of interviewing Travel Influencer and Serial Entrrepreneur, Kelly Ella Maz, who used video testimonials and video ads to market and promote her Live Workshops. 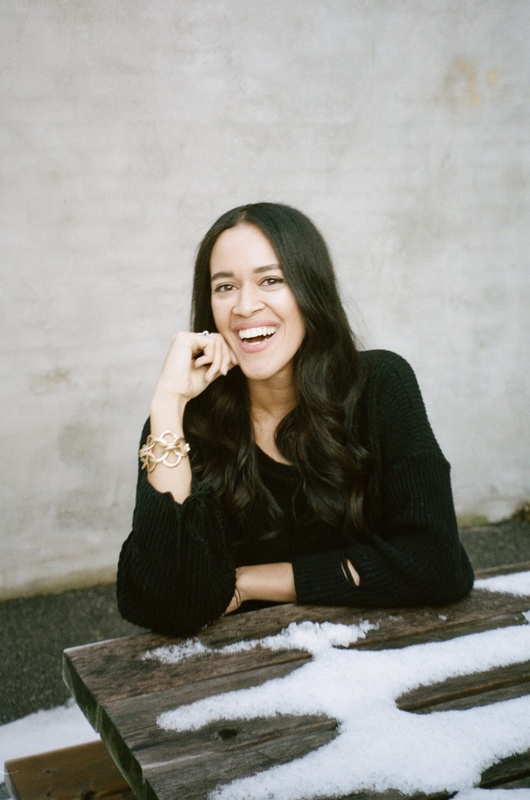 By using video and in-person masterclasses to cultivate her Brand, Kelly went from hosting a $200 workshop, to booking $14K in client contracts in just one day! And if you haven’t had your first sale yet, take on a few of your followers and offer up free work in exchange for a testimonial to build a YouTube Playlist of Case Studies. Social proof is not something you want to skip out on! So I saved the best for last, because obviously its hard for a business to market their products when they don’t have an audience to put it in front of. If you want to turn your passions into a business, you want to build an email list that consists of the special members of your tribe, that would be most interested in buying your products or services. YouTube is a godsend for email list growth, yet sooooo many people don’t even know that you can use YouTube to grow your email list. I first discovered YouTube for email list growth about five months ago, when I put up a video that allowed people to download 150 of the Best Hashtags on Instagram to Build A Big Brand. On a video that only received 179 views, in total I received 60+ sign ups. And guess what? The first 30-40 sign ups came in the first 48 hours. Imagine how FAST you can grow your email list, if you added content upgrades to multiple videos. With that thought in mind, I tested this theory out with some of my top clients, and to no surprise, they also saw a huge boost in their email list! I actually have a mini-workshop on this that you can check out that teaches you How to Rapidly Grow Your Email List in 60 Days, as well as My Secret Weapon aka YouTube! YouTube is the best place to build your brand with a community of engaged fans, because it is the only social media platform that gives your Brand it’s own Netflix-like Network. A Youtube channel is much like your own online TV network, where you can organize all of your content together in playlists similar to Netflix. But what makes it better than Netflix, is that people are able to like and comment on all of your videos and build a direct connection with you! 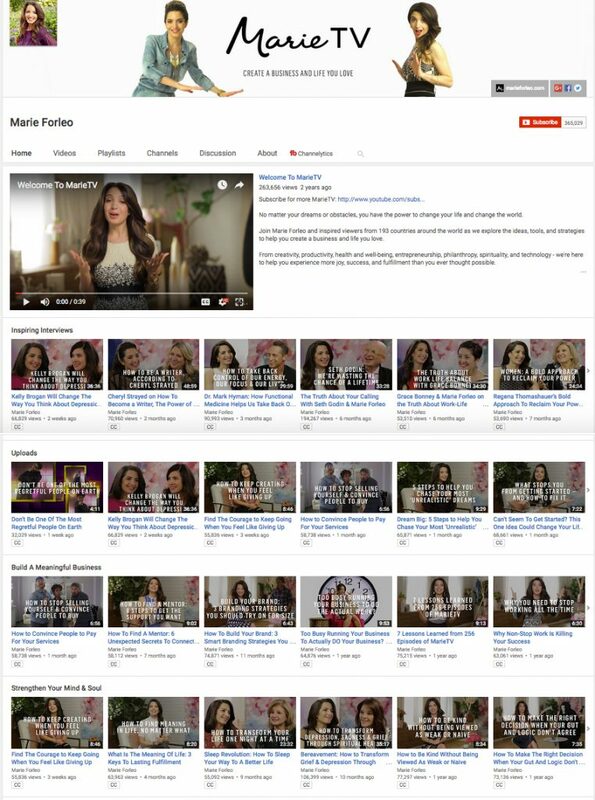 Check out Marie Forleo’s YouTube Channel. See how easy it is to navigate through all of her different episodes to find specific pieces of information and advice based on your interests. So let’s hear your thoughts in the comments! Have you started using YouTube to build your brand?